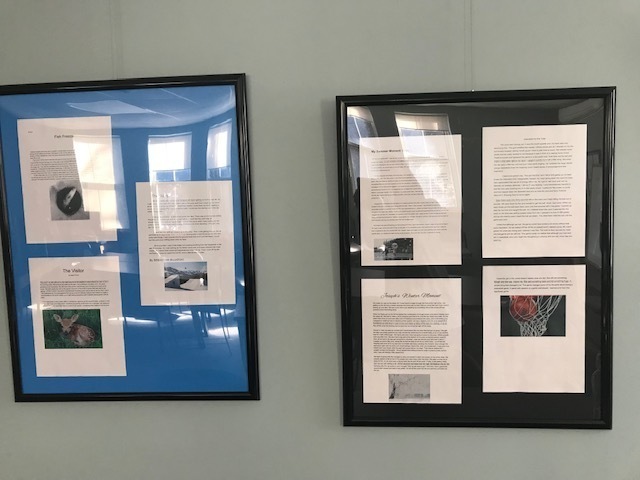 The sixth grade has just finished writing mini memoirs and you can now read them on display in the meeting room at school. Students worked on the descriptive language in narrative writing by sharing key sensory details and choosing strong verbs to describe an important moment in their lives. Another goal of the writing assignment was to show the reader what was going on in your mind as you experienced the event. Sixth graders successfully worked their thoughts and emotions into their pieces and we ended up with some great memoir writing. Students read their work aloud to their peers in class using a microphone to practice public speaking and they are excited now to have you come read their work on display!